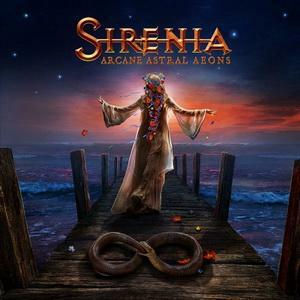 Sirenia, a shining star in the Nordic symphonic gothic metal world, released their ninth album “Arcane Astral Aeons” through Napalm Records. I fell in love with this album when I first listened to it before interviewing Morten, on their latest tour. The dark fantasy style lyrics were brought to life by beautiful vocalist Emmanuelle Zoldan, complementing the rhythm and symphonic guitars and mystical keyboard. Combined with the contrasting Morten’s death metal singing, and the powerful heavy metal drums and bass. Forming their unique style and sound. This is one of their first albums where all members of the band played in the recording studio. Morten is joined by Jan and Nils join on guitar, with some epic solos. Emmanuelle showcases her operatic, gothic vocal range, marking this as their second album together. Emmanuelle’s talents never cease to amaze, as she also brings French lyrics into the mix, in “Desire” and “Nos heures sombre”, which translates to “Our Dark Hours”. They were accompanied by the Sirenian Choir, consisting of Damien Surian, Emilie Bernou and Mathieu Landry. For recording they also invited guest stars Yannis Papadopoulos (Beast In Black, ex-Wardrum), Østen Bergøy (ex-Tristania) and Stéphanie Valentin. The secret up their sleeves was Stéphanie Valentin on violin, adding to the folk metal vibe. I particularly loved her solo on “The Voyage”. So, it really was a gothic metal collaboration, drawing inspiration and elements from across the genre. My favourite track, of course, is the entrancing “Love Like Cyanide”. The single was released on the September 21st, 2018, with a lyric video directed by Swedish filmmaker and musician Owe Lingvall. The track starts with a gentle tune on the keyboards, then Emmanuelle’s vocals draw focus in the first rendition of the catchy chorus. The lyrics captivated me, on a personally level, funny how coincidental timing can be sometimes. Emmanuelle shows of her varied vocal talent, switching with ease between high and low pitches, with powerful, deep heavy metal vocals. She’s joined on vocals by the talented Yannis Papadopoulos, from the Finnish band Beast In Black. Halfway the vocals fade to allow the instruments to take centre stage. Going back to the light and mystical keyboard solo that started the song. There’s a twang and the mystical yet foreboding instrumental kicks in. As the heavy metal drums, eerie symphonic guitars and choirs deep and dark vocals are added to the mix. Then, for the last time, Emmanuelles’s beautiful voice calls out in the final rendition of the captivating chorus, above the throng of musical instruments, which fade til only the keyboard remains once more. Ending as it began. One of the other key highlights of the album is “Into the Night”, which was also released as a single along with another stunning music video by Lingvall. It also starts with a light tinkling tune on the piano, joined by soft vocals by Emmanuelle. Then they suddenly pick up the pace, adding layers of heavy drums and symphonic guitars. With a catchy back and forth between Emmanuelle’s lyrical vocals and the deep, heavy male vocals, in the shared, repeated chorus. With the occasional bit of French thrown in for good measure! As the tracks draws to a close, the layers unpeel, until only the gentle mystical keyboard is left once again. Slowly fading into darkness. I would also definitely recommend listening to “The Twilight Hour”, “Aerodyne” and “Glowing Ember”. “The Twilight Hour” picks up the pace with pounding drums as the other instruments pile in. Then Emmanuelle’s strong and powerful vocals call out above the heavy metal instrumental back drop. Creating a gothic masterpiece, that transcends into a symphonic power metal anthem. As Nils shows off with an electric fast solo.“Aerodyne” starts with a techno space odyssey vibe, which is contrasted by the added layer of a fast, symphonic, gothic organ melody. Flying open the doors to the church of heavy metal. Østen Bergøy (ex-Tristania) brought with him deep, sultry and raw vocals. Which beautifully complimented Emanuelle’s magical, lyrical vocals that ring out above the fast & heavy drums. For a lighter change of pace, “Glowing Ember” leads you on a mystical tour, and then suddenly the heavy drums and deep vocals kick in. Switching effortlessly between the two styles throughout the track. Emmanuelle beautiful yet powerful vocals are backed by the Sirenian Choir. A powerful battle march, with pounding drums, calling all the forces of darkness. The lyrics tell tales of battles past, and glory won. Full of hope, dreams and desires, really telling the story within someone’s heart. Of the light that shines out in the dark. I have always been a big fan of symphnic metal music (with folk elements), since first hearing Nightwish, and Sirenia do not disappoint. I was caught by the stunning combination of the mystical, fantasy lyrical vocals by Emmanuelle and Morten’s harsh and heavy metal vocals. And for this album they also added new styles of vocals by calling on the skills of Yannis, Østen and The Sirenian Choir. Backed by the hypnotic combination of heavy metal drums and bass, with symphonic and rhythm guitars. The lyrics follow their usual themes of love and hate, war and glory and mental strife, leading the listener down the path into a powerful, gothic metal masterpiece. Perhaps the best Sirenia album to date! Ross “The Boss” Friedman is joined by Marc Lopes on vocals and keyboard, with Lance Barnewold smashing the drums and Mike LePond setting the bass ablaze. Luckily they all lived close by so the album was created organically. Starting with Ross and Mike playing around with some tunes and riffs, then forming the songs around them. Ross drives the direction of the song writing, but lets the songs form naturally and fits his legendary guitar skills around them. The album art, by Stan Decker, gives you a big clue of what the album contains. Powerful heavy metal songs that can imagine in the backdrop of a Viking battle march. Driving the warriors forward to war and glory, pumping them full of energy and fight. 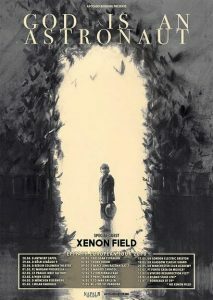 It following their classic themes of war and glory, but with a heavier and darker undertone. But still packed full of electric riffs, booming drums and Marc’s classic falsetto screams. A racing beat and electric fast riffs are joined by the deep booming drums. Only to be outdone by Marc’s skilled vocal range, switching effortlessly between deep and dark classic heavy metal vocals and piercingly high falsetto screams. His vocals bring a varied layer to the already outstanding musical accompaniments, and the lyrics tell a story, of battles and glory won. The title track kicks off as they mean to go on, with Marc’s deep and dark lyrics about war and glory and his tell-tale screams. Building up pace and complexity, ending with a crashing drum solo by Lance. There’s a mixture of styles of songs included in this album. More classic bouncing metal songs like “Play Among the Godz” popping with energy and sure to get you moving. Combined with some heavier metal tracks, such as “We Are the Night” and “This is Vengeance”. “Fistful of Hate” was also one of my favourite tracks as it took a different style, starting with just a quick galloping beat on the drums, slowly adding layers with fast twanging guitar and bass chords. Built up into a full battle march by Marc’s vocals. The song escalates through a variety of pumping riffs and varied vocals, into a heavy rock and metal storm. The first half of “Lilith” is another hauntingly beautiful ballad style piece. But after a brief pause, a classic electric riff from Ross signals the second half and they launch into their more classic metal style songs. Switching the feel and pace back down again to the mysterious ballad style. Which just felt a bit too chopped up without enough transition between the styles. A key favourite of mine is “Faith of the Fallen”, as it’s a lot slower paced, mystical and the lyrics tell a story. It feels almost out of place in comparison to the rest of the album. I think they smashed the slower ballad style, a testament to their varied skills set, and would be great to hear them play more song like this added extra. And for all of you Manowar fans, they’ve even included three bonus tracks of Manowar covers! My absolute favourite is the punky “Hail and Kill”. It showcases some of Ross’ and Marc’s best talents along with a catchy chanting chorus. Ending on a perfect falsetto scream and crash on the cymbals. When I saw their show last week, I was a very happy lil metalhead when they played it, and the crowd definitely seemed to concur as they chanted along. This album is a great collection of songs, combining their varied skills sets and styles. Bringing in classic metal tones and riffs, set off with a heavy metal bass and drum beat. Finally, finished with their standard lyrical themes of war and glory. However, to compensate for the variety of tracks there could have been a stronger story or style progression to lead the listeners through the album. Ross dragged old school metal kicking and screaming into the modern metal age. “The Cauldron and the Cross” is Seven Sisters’ second full length album, released this year. Deeply reminiscent of Iron Maiden, it is dripping with old school rock/metal riffs and heavy metal bass. They cleverly master and interchange between a variety of paces and styles. They produce slow and mystical songs that draw you in but then flow into hard hitting rock melodies with electric sharp guitar riffs and fast drum action. They even interchange between slow and fast paces with ease during their first song, showcasing their musical talent. The fast pace and electric energy in the opening of “The Premonition” shakes you awake and gets you pumped. Setting the tone for a hell of a heavy metal album. “Blood and Fire” has a different pace from “The Premonition”, starting with a mystical slower start, beginning the fantasy odyssey. Close your eyes and let the mists of time flood the darkness. You feel like you’re floating on a boat in the open ocean. The beat picks up, and through the mist you can see something emerging, the head of a dragon, carved into wood. Ahead a Viking Dragonship, as the heavy beats drop, they crash their axes against their shields, and call for blood and fire. “Once and Future King” starts with a more electric and fast pace. The vocals take a stronger lead, echoing above the guitar riffs. One of the Vikings stands, at the prow of the ship, resting his hand on the dragon head. Addressing his warriors, he rallies their spirits and calls them to war. To fight for their once and future king. The mists part, everyone holds their breath, as just the guitar plays slowly. Then as someone calls “land ahead” and the pace and excitement increase. Leading on to some incredible guitar riffs, in the second half of “Parting the Mists”. “Turning of the Tide” brings back the heavy metal notes and rock’s faster pace and electric guitar sounds. As the Viking’s boats crash through the tide, onto foreign shore, they praise their Gods. The lyrics call out of the sound of Thor’s thunder and the clash of steel on shield once more. The lyrics paint vivid imagery of the battle, and perils they will soon face. “Oathbreaker” has a more sober tone and pace. The leader once again stand before his people, to call them to arms, he raises his own sword above his head. In the moonlight you can read the name “oathbreaker” carved into the blade. With yet another twist in pace, “A Land in Darkness” has a powerful start, blasting out after the very slow and mystical end of “Oathbreaker”. Loftin, on drums, coming crashing in with razor sharp guitar riffs in the final chapter of this Viking tale. Which sets the scene perfectly for the title song “The Cauldron and the Cross”. Their final song is a sixteen minute spectacular featuring elements from across heavy rock and metal genres. With the galloping rhythms, reminiscent of Maiden, you can imagine the hoard of Vikings charging across the battlefield. The powerful vocal chorus tells a story and builds the anticipation. The commanding, formidable and fast arpeggios and guitar solo grabs your focus. The Iron Maiden influence seeps into the solo, with melodic harmonies reminiscent of neoclassical metal. The fully embody old school rock and metal, yet give it a modern edge by breaking out of standard rock. The occasional use of changing time signatures hint at a progressive rock influence. Somehow, they bring it all together, acuminating in a harmonious ensemble. Seven Sisters cleverly bring together elements from power metal, neoclassical, early thrash and progressive rock. To create a unique modern twist on classic hard rock and heavy metal sounds. I really enjoyed listening to this album, and the story it created for me. I grew up on the old school hard rock & heavy metal of bands like Iron Maiden. So, having that undertone with modern influences brought the glory days to life.